The harmful effects of water damage in Tumwater are sharply reduced by prompt and effective intervention, especially within the first 24-48 hours. An immediate emergency response by our knowledgeable technicians will quickly stabilize your property and mitigate damage, keeping your restoration options open. With any water damage, it is necessary to analyze and assess the building materials and contents that are being affected by the moisture and then we can develop a specific water removal and cleanup process. Our Tumwater water damage cleanup specialists use special equipment that can evaluate flood damage and can identify all the problem areas that are retaining the moisture. Most often during a water loss situation, there are more materials that are wet than appear to be. Even if you feel the water cleanup is small or isolated, it should be evaluated by a flood damage restoration professional. Choosing a fire restoration company is something you do not want to take lightly. Heritage Restoration team is highly trained, well-educated and experienced in the restoration process of fire and smoke damage. Heritage Restoration has literally hundreds of combined years of industry experience working to provide you the best restoration solutions. Most importantly is our experience and ability to unify property owners or facility managers with insurance company adjusters to provide services that our clients deserve while working within the requirements or limitations of coverage. For commercial clients we work either self-pay or insurance claims, we provide estimates fairly and quickly. Heritage Restoration diagnoses the damage, creating a detailed property recovery plan. Whether it is a home or business, Heritage Restoration will restore it to its original state, guaranteeing the work is performed correctly, according to the latest training and industry standards and provides workmanship warranty (for 5 years residential and 3 years for commercial jobs). From the initial inspection to the completion Heritage Restoration will happily work in your best interests. No one should have to suffer after experiencing a fire or flood damage. Heritage Restoration will step in and offer an experienced and professional solution that can lift the gloom from any room. 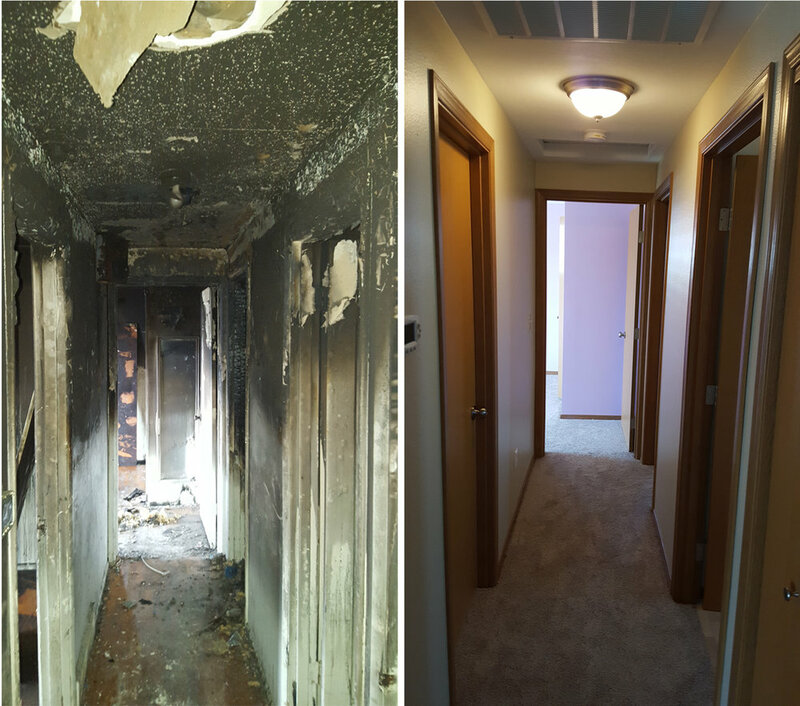 Having created an expert service that is all about making people feel better about their properties, we can be the peace of mind that you need for all fire and water damage repairs! Heritage Restoration is a water damage company and a fire damage company that provides services for residential and commercial water and fire damage victims. If you have an emergency water damage situation and need water damage repair done quickly and professionally, Give us a call today at 360-345-1015 for immediate help. Tumwater was originally called "New Market", and under the latter name was platted in 1845. The present name is derived from the Chinook language meaning "waterfall". A post office called Tumwater was established in 1863. The city incorporated in 1875. Today, Tumwater is home to places such as the Tumwater Falls Park. We provide service throughout Tumwater WA, including 98512.